#151. 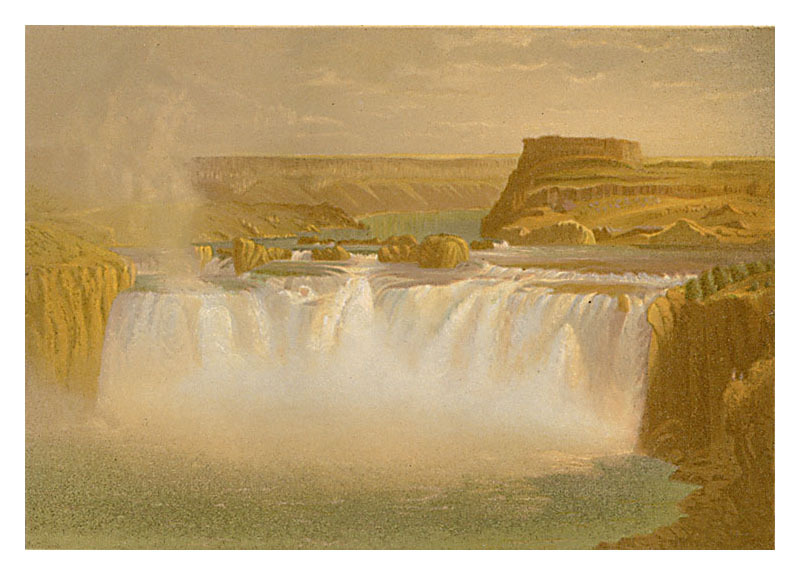 Shoshone Falls - Idaho. 6 x 8.5, chromolithograph. Title on plate. This picture is Plate XVI in Clarence King's Systematic Geology, published in 1878. It is based on an oil sketch by Gilbert Munger. He was guest artist with King's 40th Parallel Geological Survey in 1869 and 1870. Munger made a trip to paint here on his own in 1872. 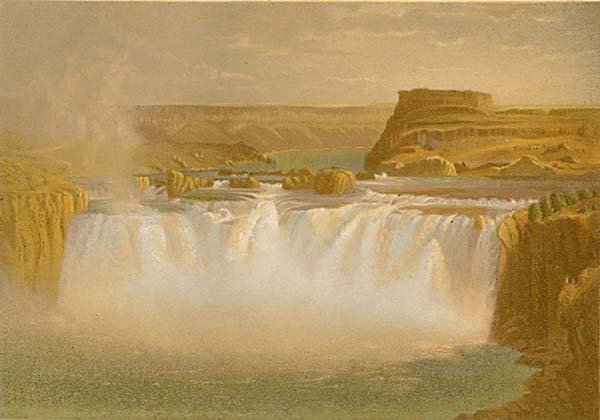 Shoshone Falls is on the Snake River at the present day city of Twin Falls, Idaho. QFD 33. In 1873 Munger finished a large exhibition painting of this scene. See the Munger Archive entry for "1873 Feb" for a detailed description of this painting, which is currently unlocated. Image is a direct scan of the plate.